INDIA. New Delhi. 2009. People waiting in line for water where a ocal Brahmin, Lakhan Lal Morkar, distributes water in Nehru camp. 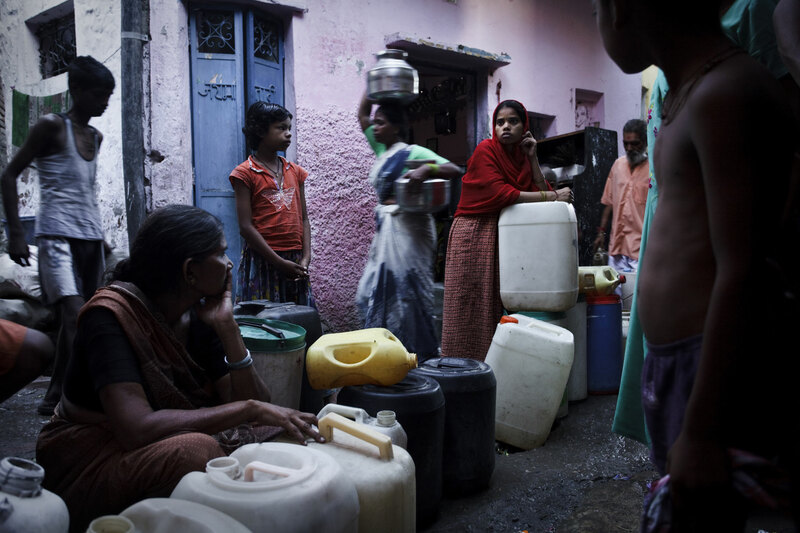 It is common for people in the slum to get up as early as 3am to start their daily hunt for the scarce water.